We have long heard of the beauty of Yosemite National Park, and while we were in that part of town, we couldn’t possibly give it a miss. The park is a World Heritage Site that spans more than 3000 km2. Well known for its spectacular granite cliffs, waterfalls, Giant Sequoia groves and biodiversity, it is a wilderness haven that attracts millions of tourists, photographers, rock climbers, geologists and biologists every year. 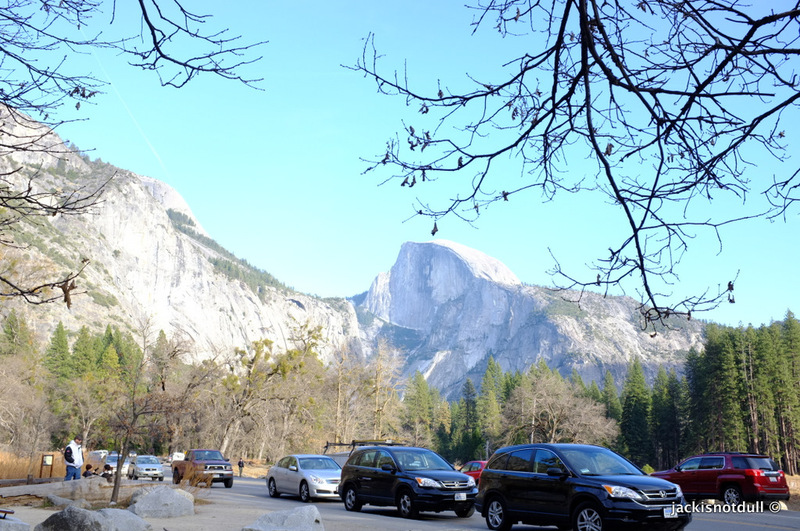 Most visitors arrive and stay at Yosemite Valley which is only around one percent of the entire park. Yosemite Valley is a four-hour drive from San Francisco where we started. While it is possible to visit the park on a day trip, we decided to stay three nights in the valley. And boy were we glad we did; there was actually plenty to do. Formed by glaciation, Yosemite Valley is the heart of the park where the vast majority of Yosemite’s most famous natural attractions such as the dramatic granite monoliths Half Dome and El Capitan and the magnificent waterfalls Yosemite Falls, Vernal Fall and Nevada Fall are located. 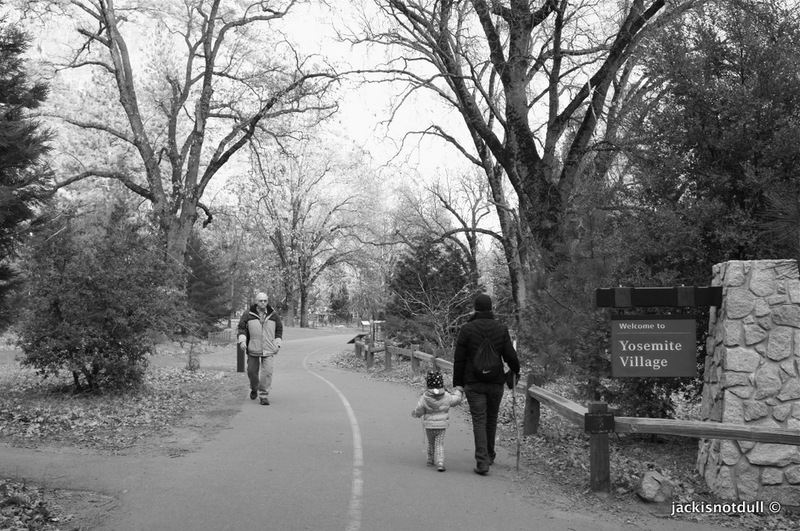 The valley also houses most of the park’s food, lodging and entertainment facilities. In winter, the Badger Pass Ski Area is open for downhill skiing (normally mid-December to April) while much of the park grounds allows cross-country skiing and snowshoeing. However, this winter season has been so dry that even in late December when we visited, it still hadn’t snowed. While we didn’t manage to ski, snowboard or snowshoe, we took advantage of the late autumn-like weather to explore the valley in earnest. From Yosemite Lodge where we stayed, we were a shuttle bus away from the popular sights and sites in the valley. 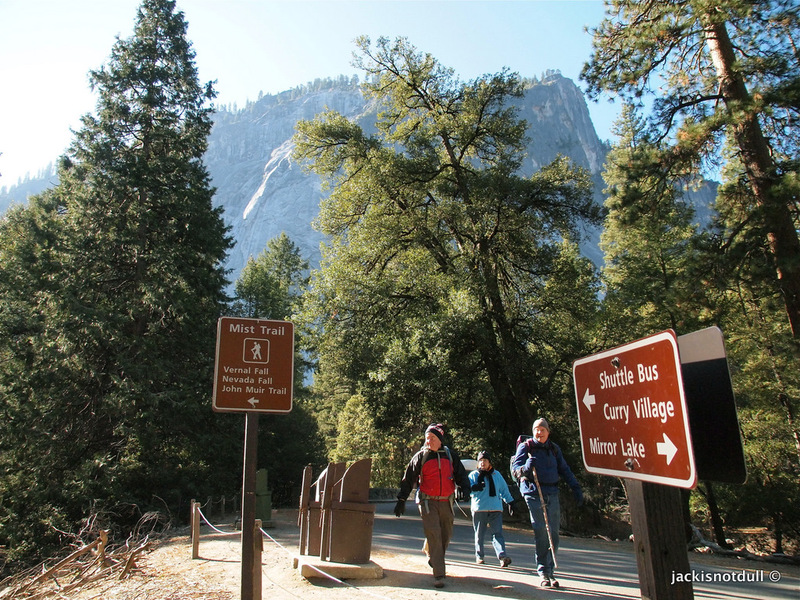 A stroll from the Lodge to Yosemite Village which contains most of the community’s amenities gives stunning views of Half Dome and Yosemite Falls in the distance. Yosemite Falls in winter is a calmer cascade due to lower water volume; a sleeping giant getting ready to roar once awakened in spring. Such picturesque surroundings where majestic granite monoliths stand resolute against the clear blue skies, staring down stoicly at us mere passerbys, is a humbling reminder of the greatness of Mother Nature. Every breath of the crisp fresh air is a luxury and a celebration of life. To us city folks, it’s sheer magical. During our stay, we did a hike to Mist Trail and a second to Colombia Rock. The latter is a challenging hike up a steep and rocky path with more than three dozen switchbacks. The reward: one of the best views of Yosemite Valley and of Half Dome. We started the Mist Trail at Happy Isles trailhead (shuttle stop #16). After a brief stroll along the river, we climbed a paved ascent until we reach the footbridge, where we caught our first glimpse of Vernal Fall in the distance. Wildlife such as deer and coyotes roam the park grounds and black bear are sometimes sighted at night. 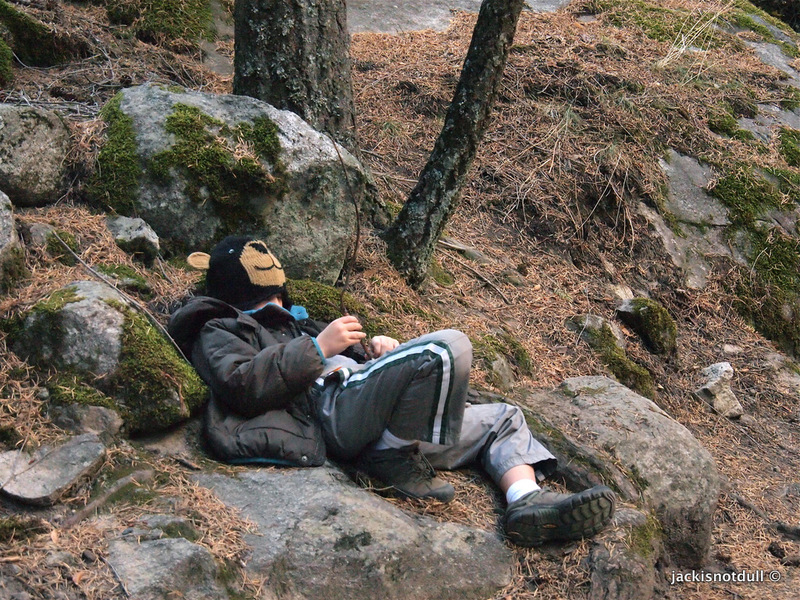 We spotted a cute bear basking in the sun on our way up to Vernal Fall. Past Vernal Fall and towards Nevada Fall, the terrain becomes steeper and more rugged. Boulders are stacked to form a steep stairway which requires some caution upon ascent and descent. The top of the hike brought us very close to Nevada Fall with a gorgeous view of the valley below. This trail is sometimes closed in winter due to snow cover. The late snowfall this year was a blessing in disguise; it was a truly memorable hike. 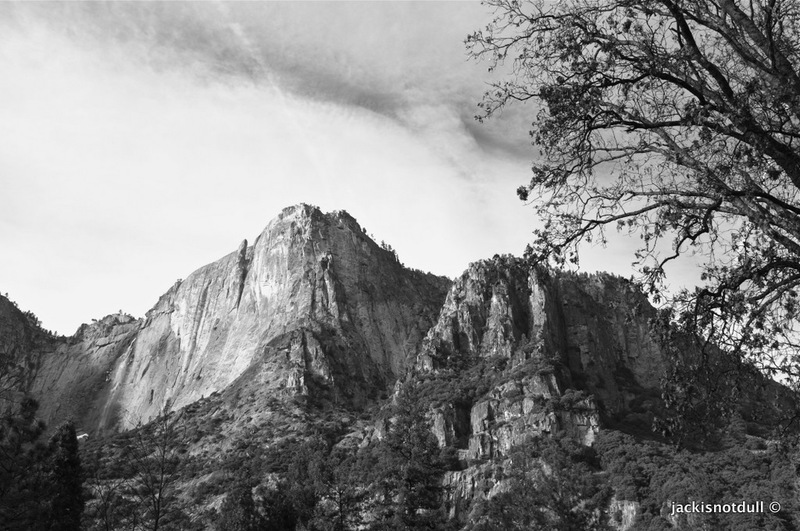 If you are a lover of photography, be sure to visit The Ansel Adams Gallery back in Yosemite Village. 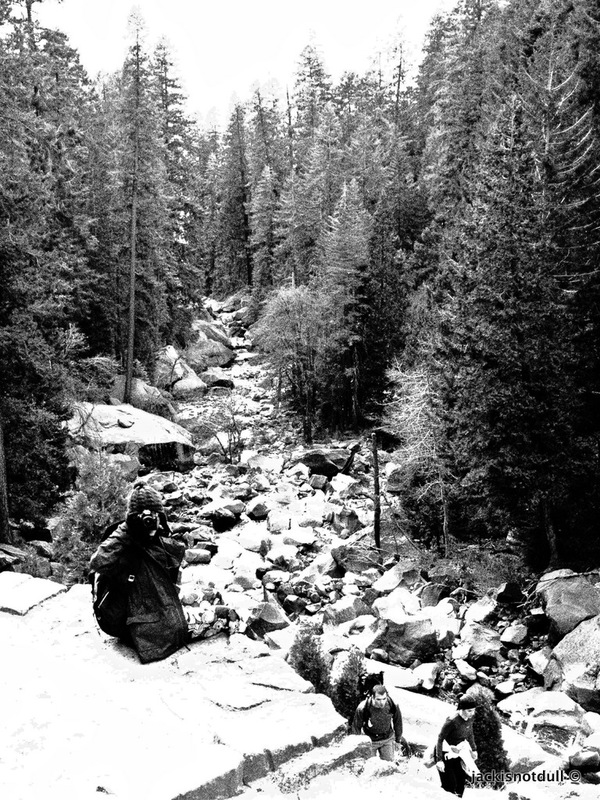 Ansel Adams was an acclaimed American photographer and environmentalist, legendary for his black-and-white photographs of the American wilderness, especially in Yosemite National Park. His photographic technique for determining optimal film exposure and usage of large-format cameras resulted in high resolution clarity and depth that characterized his photographs. 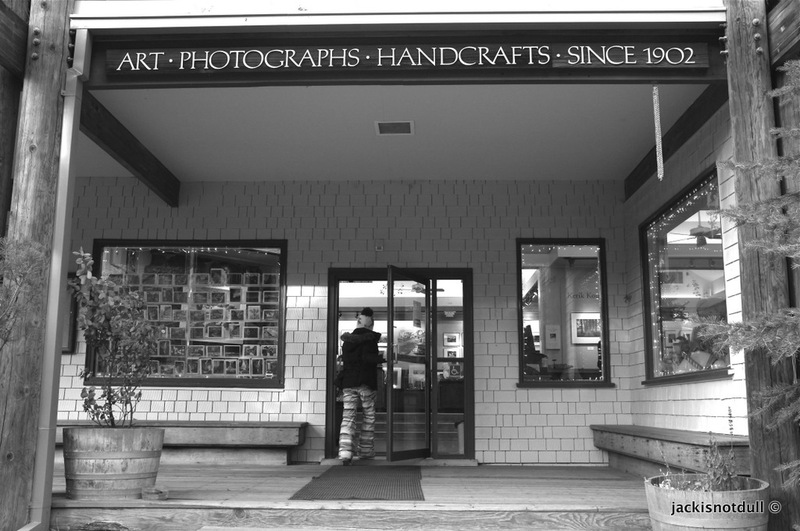 The Gallery offers a beautiful collection of original photographs by Ansel Adams and other renowned fine art photographers (Michael Frye and Charles Cramer are our favourites) and a unique variety of local handicrafts and books. While we lucked out for winter sports, we did have a brilliant time at the Curry Village Skating Rink. 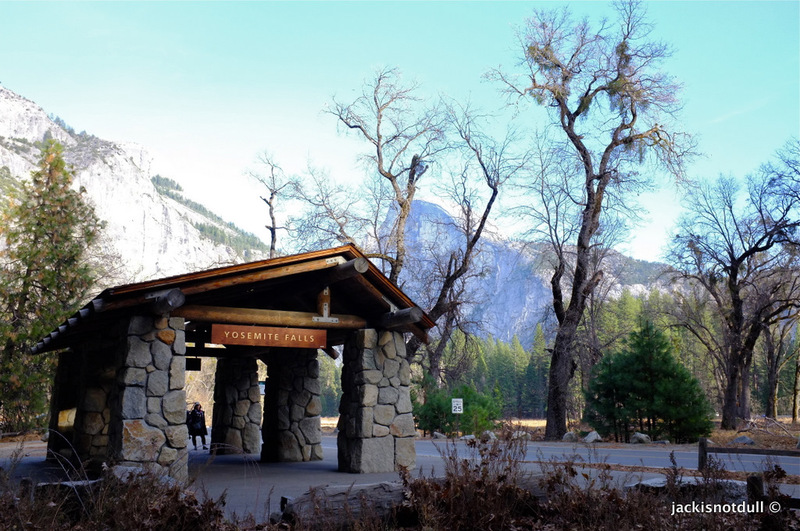 This outdoor skating rink offers wholesome family fun against an arresting backdrop of the majestic forms of Half Dome and Glacier Point. Guests can revel in the beauty of winter Yosemite by the fire pit beside the rink while roasting s’mores available at the nearby supplies store. We recommend going in the afternoon to skate into the sunset at around 5:30pm. Dusk is especially romantic and skating under the stars brings a new level of abandon to this sport of grace and elegance. Pop some motion sickness pills before your drive into the valley. Most of the way in is very windy. Stock up on whisky and a good bottle of wine to continue your evening entertainment in-room. 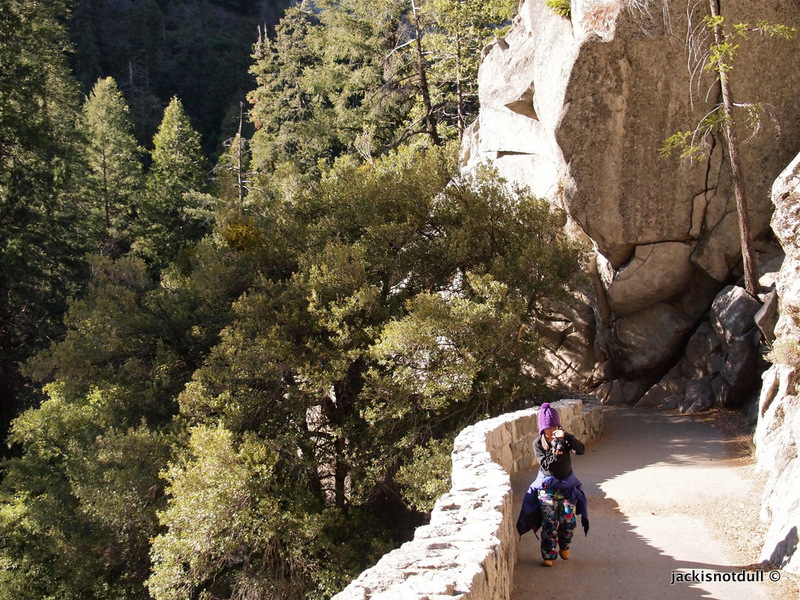 Bring along a good pair of knees if you intend to hike up to Nevada Fall or to Columbia Rock. Forget to check the weather forecast before packing your ski wardrobe halfway round the world to ski. Expect to be in touch with the rest of the world while in the valley. Cellular reception was dire for us. Though that was probably a good thing. Wear your prettiest pair of hiking boots. Some parts of the hikes can be extremely steep and rocky. Probability of mutilating boots: very high. If you mean cycling within Yosemite Valley, yeah think so. Roads are in great condition, good enough even for road bikes. Cycling in the valley is very pleasant. As for the trails, I’m not sure if bicycles are allowed. We didn’t see any signs prohibiting cycling but didn’t see anyone cycling on the trails as well. The mist trail get very wet near the falls and steep towards the top. The Colombia Rock trail is way rocky and narrow with switchbacks. Both would be very challenging to cycle on, if you are allowed to.